Inspired by our current exhibitions, all workshops explore materials and themes presented by contemporary artists. Workshops are available throughout the school year and are designed to complement the school curriculum. All workshops for schools feature current exhibition visits, where possible. For booking contact inspiredlearning@northlincs.gov.uk or telephone 01724 297055. Our most popular workshop has pupils and teachers becoming shadows in a shadow puppet performance! Witness as dramatic storylines unfold before your very eyes, using shadow and light manipulation. Children become set designers, narrators, lighting technicians and actors while using our specialised equipment. “It was really clever how you mixed our dragon topic with a shadow puppet way. We have learnt how much work goes into shadow puppets and what makes shadows and light.” – KS2 pupil from Bottesford Junior School. Available as a full day workshop or outreach. 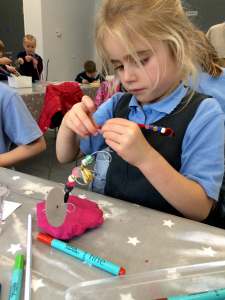 This workshop is available all year round and focuses on exploring sculpture and methods used to create 3D objects. It includes looking at our sculpture handling collection and a tour of the angels and gargoyles of 20-21’s church building. 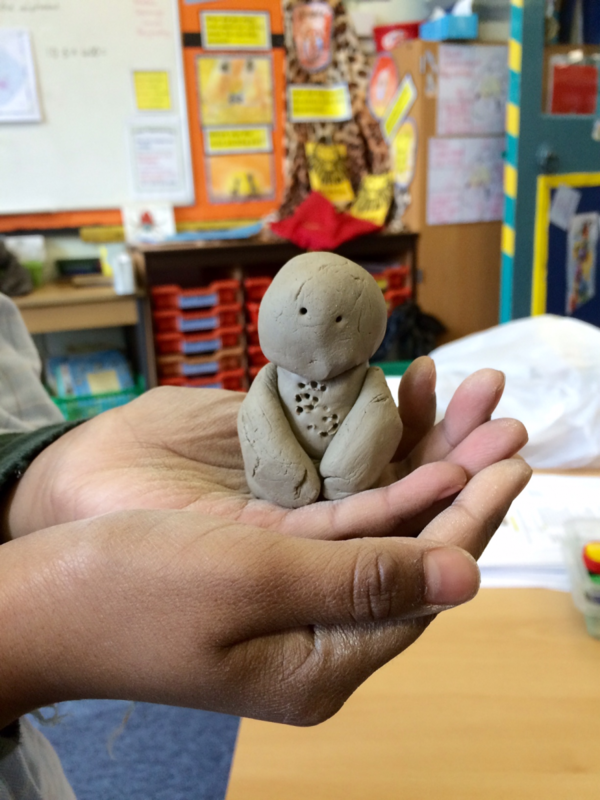 Children create their own angel or gargoyle using air drying clay. Suitable for all key stages. Half day workshop (2 hours). This workshop focuses on exploring sculpture and methods used to create 3D objects. The workshop includes looking at our sculpture handling collection. Children will create their own sculpture from clay, which can link to a classroom themes or specific exhibitions. Suitable for KS1 and KS2. Half day workshop (2 hours). This workshop focuses on specific drawing techniques where children explore the use of charcoal and pastels whilst being given still life display to study. This workshop can link to a classroom themes or specific exhibitions. Suitable for all key stages. This full-day workshop will see children being challenged to recreate The Factory, Andy Warhol’s famous studio space. Pupils complete portraits of classmates, discuss themes of pop art and popular culture, as well as experiencing hand printing techniques. A vibrant, exciting and interesting workshop that sees children go home with their very own Andy Warhol style printed and collaged portrait! Full day workshop (4 hours). More often than not, we receive requests to fit a specific topic or classroom subject. Bespoke workshops take in an exhibition visit and cover the requested topic while challenging pupils to think like artists for the day. Prices vary depending on class sizes and workshop duration. Please get in touch with us for more details. We have a wide range of artists that we work with here at 20-21 Visual Arts Centre, who all come highly recommended. Contact our Inspired Learning Team for an informal chat on what artist would best suit your requirements. All artists come at varied costs and can build bespoke workshops around your needs. 20-21 Visual Arts Centre is committed to supporting education for all ages. If you have any ideas or projects you would like to develop we are very happy to help. 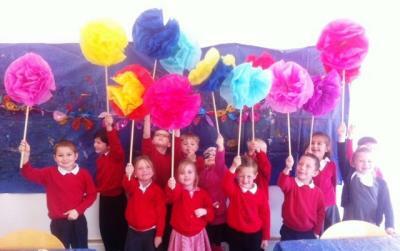 We have experience in Teacher Training, After School Clubs, Whole School Art Development, Arts Award delivery, Community Artist led projects and more. Did you know that 20-21 offers after school art clubs to schools in North Lincolnshire? We have provided after school sessions which not only focused on art and design using a range of materials, but also embedded elements of maths, science and literacy. If you would like to develop a project with us, please get in touch at inspiredlearning@northlincs.gov.uk. To find out about all of the events and activities that are taking place at 20-21 please visit our What’s on pages.